If you've just picked up a shiny new Apple Watch Series 4, it's time to learn how to set it up your way. The Apple Watch is a highly personal piece of kit - and following the instructions to pair your device is only one side of the story. That's why we've compiled a huge list of guides and how-tos for getting the most from your Apple smartwatch in our Apple Watch missing manual. But this is your guide for the first hour with your smartwatch. From how to pair your Apple Watch with your iPhone to setting up Apple Pay for the first time, we explain how to get your watch working your way. Getting started with Apple Watch is simple. You need an iPhone 5S or higher, and it needs to be fully updated to the latest version of iOS. Check that Bluetooth is on and that you're connected to a Wi-Fi network, and open the Apple Watch app. Your Apple Watch must be on (hold the side button if it isn't), and if your phone detects it's near, you should see a message pop up that reads, "Use your iPhone to set up this Apple Watch". Hit the Continue button if you see this. Otherwise open up the Apple Watch app and tap Start Pairing, and a hot mess of static will be shown on the screen. You'll be prompted to hold your iPhone so the Apple Watch is visible in the camera's viewfinder. Follow the prompts to complete setup, such as choosing a language and watch orientation (it can be worn 'upside-down' if you're left-handed), and defining a passcode. If the camera doesn't work, tap Pair Apple Watch Manually beneath the viewfinder. If this is your first Apple Watch, you'll then need to hit Set Up Apple Watch, unless you've had a Watch before, in which case you can choose to restore from an old backup. Should you later wish to unpair the Apple Watch, do so by selecting Unpair Apple Watch in My Watch > Apple Watch on the iPhone app. Note: pairing/unpairing and other aspects of setup aren't particularly quick. You'll need to sign into your Apple Watch with your Apple ID. This will now be linked to the watch until you specifically unpair it, which means if your device gets lost or stolen, it will be useless to its new owner. It's not essential to have a passcode for the Apple Watch, but it's essential if you choose to use Apple Pay. Unlike your iPhone, however, you don't need to enter the code every single time you want to use the Watch. 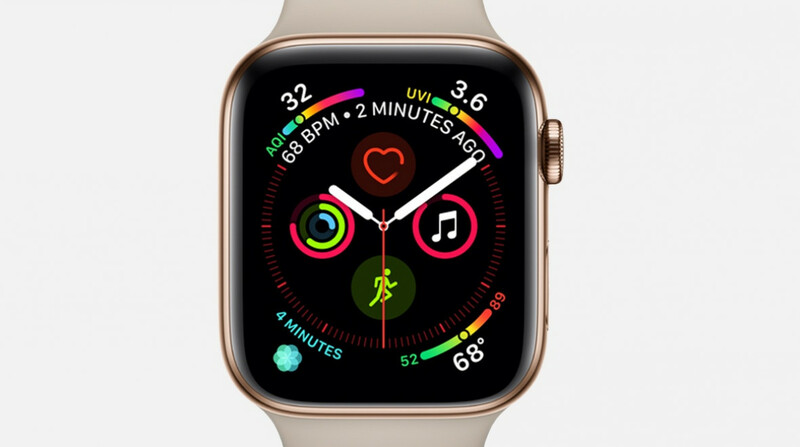 The heart rate monitor means that the Apple Watch can detect when it's on your wrist, so you'll only have to unlock it the once. You'll be prompted to create a passcode or a long passcode on your iPhone during the setup process, which you then enter on the Watch. You can also opt to unlock your iPhone when you unlock the Watch, if you wish. At this point, you can also set up payment, too, but check out our dedicated guide to Apple Pay for more information. Standalone apps are one of the handiest features of the Apple Watch, but the majority are still extensions of apps on your handset. During setup, you'll get the chance to install all available Apple Watch extensions, and have new ones added automatically. You might not want every single app from your iPhone installed on your Apple Watch, which is also a fair concern. At this point you can choose to reject automatic installation of apps and do this manually within the Apple Watch companion app later. Just open the app and scroll down on the first page to manually allow or disallow installation. Alternatively, go to My Watch > General > Automatic Downloads, and turn automatic downloads off. You then install/uninstall individual apps by using the aforementioned switches. The Activity and Workout app relies on your personal information to make accurate assumptions about your steps, calorie burn and distance walked – so it's essential you take the time to input your data. You can do this once your Apple Watch is set up – but don't forget, as you won't have any tracked exercise or data until you enter your data. If you need help understanding the full ins and outs of the Apple Watch Activity and Workout apps once you're all set up, make sure to check out guide. In the iPhone Apple Watch app, go to My Watch > Notifications. Within, you fine-tune notification settings. When active, the Notifications Indicator shows a red dot at the top of the watch face when you've got unread notifications. A privacy option exists for only showing notification details when you tap on an alert. Beneath these switches is a list of built-in apps, followed by third-party apps. Third-party apps each have a switch for mirroring alerts to your Apple Watch (said alerts are managed in the iPhone's own Settings app.) Most Apple apps are set to 'Mirror my iPhone' (as in, mirror alert settings from your iPhone) but can have custom options defined, such as turning on haptic alerts but disabling sound for Messages. Maps and Activity are exceptions, the former's sole switch being for toggling alerts for upcoming turns, and the latter having granular options for stand reminders, progress updates, goal completions, achievements, and your weekly summary. General – Houses software updates, watch orientation, accessibility, language/region, Handoff, wrist detection, whether the watch face or previous activity are displayed on raising your wrist, usage data and data reset options. Cellular - If you have an LTE-enabled Apple Watch you'll be prompted to set up cellular plan in the setup, but if you don't you can come here and do it later. Brightness & Text Size – Enables you to adjust the display's brightness, the user interface's text size, and make the text bolder. Sounds & Haptics – provides settings for adjusting the alert volume (or muting it) and haptic strength, and switches for 'Cover to Mute' (shuts the watch up after three seconds of darkness) and 'Prominent Haptic' (nudges you to pre-announce common alerts). Passcode – Lets you define a passcode for unlocking your Apple Watch, and set whether the watch unlocks when your iPhone does. There's also an erase option if someone pilfers your watch and gets the passcode wrong ten times. Health – Lists some of your basic physical details and enables them to be edited. Privacy – Enables you to stop Apple Watch using your heart rate to calculate calories burned and using body movement to determine step count. Following these general settings are those for individual apps — Apple's and then third-party products. Information regarding these will be found in our guide's app pages. When an iPhone is backed up to iCloud or iTunes, Apple Watch settings and data are included. Health and fitness data only comes along for the ride when using iCloud or an encrypted iTunes back-up. A restore from backup can be done using the iPhone Apple Watch app during a re-pairing process. The Apple Watch is super secure, but that means it has to be properly reset and unpaired from your iPhone. While setting up your iPhone is just a case of following instructions, separating the two is a mind-melter, if you don't know where to look. Don't bother with your Apple Watch – head straight to the Watch companion app on your iPhone. Check out our guide to unpairing your Apple Watch, where we also cover how to reset your data and also set the device back on on a brand new iPhone.